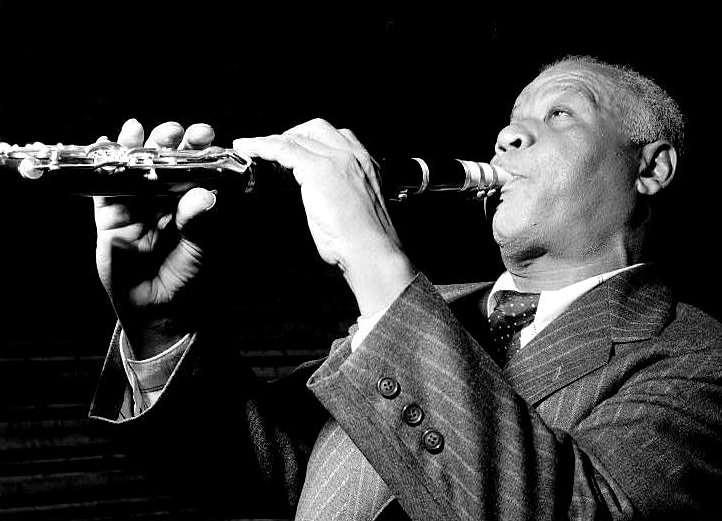 The very great Sidney Bechet was an assertive soloist early in the history of jazz, a swaggering melodic improviser who pointed the way for many players. Sometimes his legacy gets compressed into SUMMERTIME (which is an offering in the presentation below) but his legacy was much more expansive than one operatic performance. Here, at the 2014 Whitley Bay Classic Jazz Party, reed virtuoso Thomas Winteler and friends Bent Persson, trumpet and vocal; Graham Hughes, trombone; Morten Gunnar Larsen, piano; Henri Lemaire, banjo / guitar; Malcolm Sked, bass; Nick Ball, drums, offer a wide-ranging portrait of Monsieur Bechet from the very early Twenties to the mid-Forties, with familiar songs taking a back seat to less-played ones, including a pair of unrecorded Bechet originals. This happens only at the Whitley Bay Classic Jazz Party, now called the Mike Durham Classic Jazz Party in honor of its beloved founder, and it will happen again on November 5-8, 2015.